By the early 2000s most mid-sized luxury sedans were equipped with automatic-only gearboxes, unless it was an expensive and finicky motorsports edition (such as BMW's M-cars, Audi's S-line etc). The notable exception to the torque convertor brigade was the BMW 5-series that offered a V8 mated to a manual gearbox in a large sedan, starting as far back we can remember and continuing to 540i, 545i, 550i, etc. 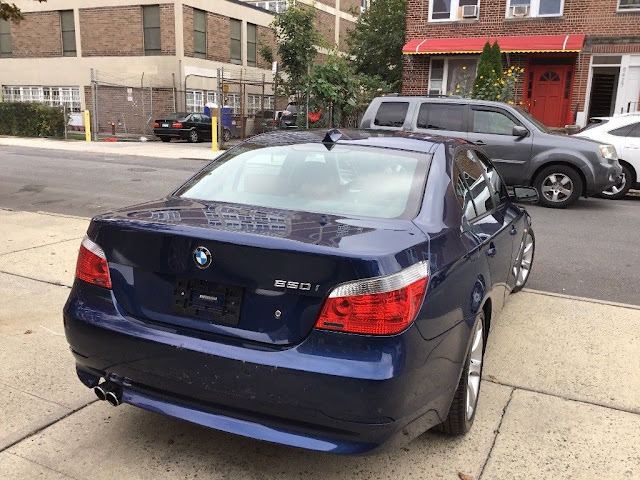 Find this 2006 BMW 550i here on eBay with starting bid of $5,000 and $9,900 buy-it-now located in Brooklyn, NY. At this price I was expecting a salvage title, but it says it's clean. Do these really go for less than $10k?! I don't know what the maintenance is like but it seems like a bargain if it doesn't blow up on you. You still have to look at it unfortunately. 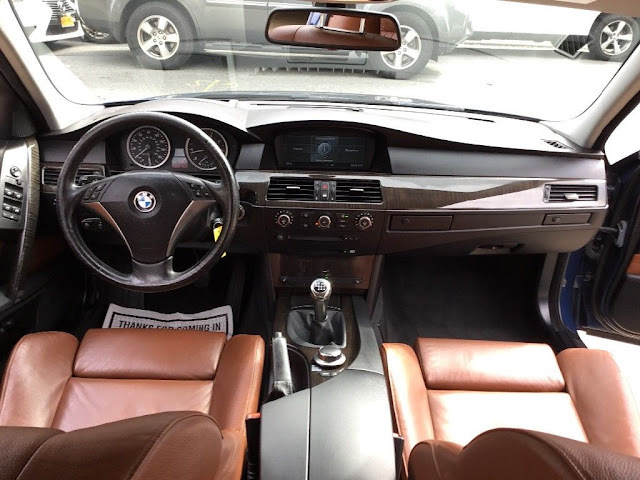 I'm not a huge Bangle-basher---time has proven that he was groundbreaking in some of his signature design elements, but the e60 was just completely overwrought with unnecessarily poor styling. 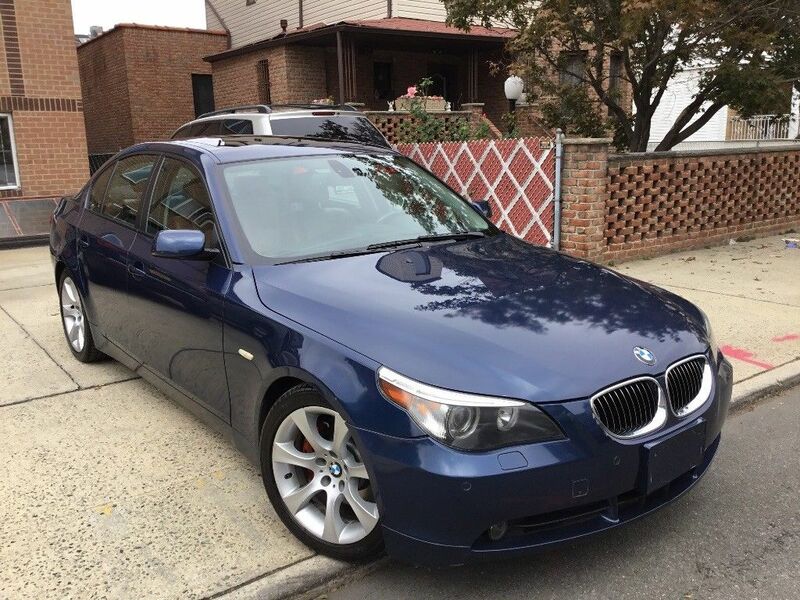 This car sent a lot of lifetime BMW addicts looking elsewhere, with many of them never to come back---I'm one of them. Good point, nobody ever walked away and looked back over their shoulder longingly at an E60. True, but you don't see the Banglization from the driver's seat as you grab third at 95. Wow! V8, stick, brown leather. This checks a lot of good boxes for less than $10k. I might have to consider one of these when my current lease is up.